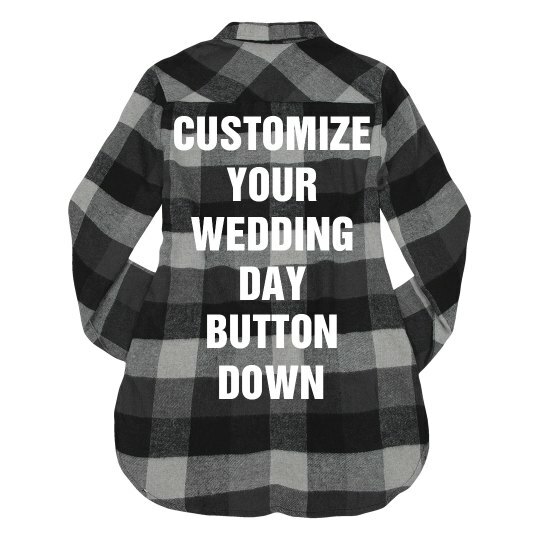 Customize your very own wedding day flannel. Wear this trendy flannel all day until you're ready to put on your wedding dress. Add names or the wedding date and any other text.